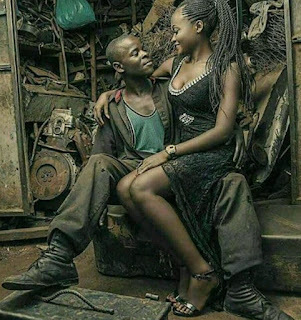 We cannot but say wow to this because it will leave many with surprise, as this mechanic from Onitsha, took his lovely pre-wedding photo in his workshop. This is real and unique, so beautiful -- since he has to be proud of his profession. I guess a banker would do the same, but it won't get everyone talking if he snaps his own in the bank.